What is Derma Roller or Micro needling? Derma roller or micro needling is a revolutionary skin treatment also known as skin micro needling, scar reduction or collagen induction therapy. This therapy originated in Europe and has now gained popularity throughout the world. 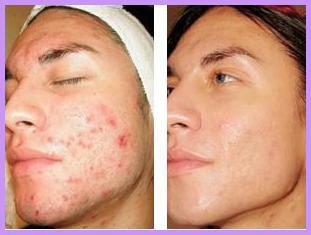 This treatment is used for the removal of acne, scars, stretch marks, pigmentation due to sun damage and wrinkles. It improves penetration of creams and gels into the skin by intense exfoliation of the uppermost layer of the skin, tricking the skin to renew skin cells and repair automatically. Results have demonstrated how it also increases the level of newly formed collagen in the skin which is the magic word when it comes to maintaining a youthful face! How Derma Roller or Micro needling works? This Derma roller micro needling system involves a barrel like roller which consists of multiple micro needles that are very fine. When the needles are rolled across the skin, multiple minute pin pricks are created tricking the skin to activate it’s natural healing and repairing process from the skin around the affected area itself. It is also known to strengthen and thicken the top layer of the skin consequently causing less wrinkles and fine lines. The rolling motion of the needled barrel breaks down old scar, sun damage and pigmentation tissues promoting new cell formation, improved skin elasticity, better level of collagen and new capillaries improving blood circulation. The needles are made of high grade stainless steel and are safe to use by professionals at our salon. The length of the micro needles varies from 0.5 to 2mm and is virtually painless due to topical anaesthetic application for the clients comfort. Deeper needle penetrations into the skin produce better collagen and elastin production. Rolling is done 15-20 times in horizontal, vertical, and oblique directions. Pin-point bleeding which can easily occur is controlled and a normal occurrence in this procedure. After treatment, the area is dampened with saline pads. The procedure takes around 30 minutes depending upon the area of skin to be treated and although results can be witnessed immediately, drastic results can be see in a weeks time and even better skin texture achieved as the collagen continues to be generated for the weeks to come. 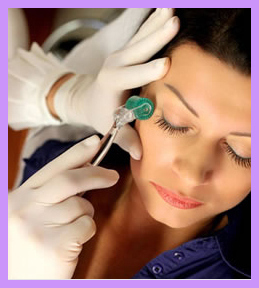 Minimum six week interval is required between two treatments to allow natural collagen to form. Three to four treatments are required to cure moderate scars or acne. One needs to protect skin from direct exposure to sunlight immediately after the treatment for at least a week. This treatment is also suitable for use on darker skins and for use during the summer months when other treatments are more risky due to the increased UV sensitivity they can induce. This dynamic treatment will provide a healing touch to your skin and smooth away all imperfections. Skin is literally woken up, regenerated and rejuvenated to be able to naturally repair and protect itself from ageing, like a fresh young face after the treatment. We know that more sessions equal great results for your skin hence we have made it cost effective for our clients to book six sessions, three sessions and a single session after a brief consultation with us. If you are looking to resurface the texture and appearance of your skin drastically regarding pigmentation, uneven skin tone, acne scars, injury scars, expression lines around the mouth and cheek and pigmentation from sun damage, the Micro Needling professional treatment at Shumaila’s is just what you need. Although we recommend six sessions for best results, you will be able to witness drastic benefits in just one sitting.